Alex Vigneault is a two-time individual CrossFit Games athlete from Quebec. 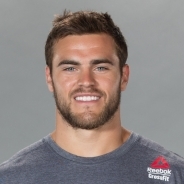 After starting CrossFit in 2013, he made his first regional appearance in 2014 at the Canada East Regional, where he missed Games qualification by one place and a tiebreaker at that. He made his Games debut in 2015 with an 11th-place finish, which he improved to ninth in 2016 with four top-10 event finishes. A former hockey player, Vigneault is currently studying to be a police officer.